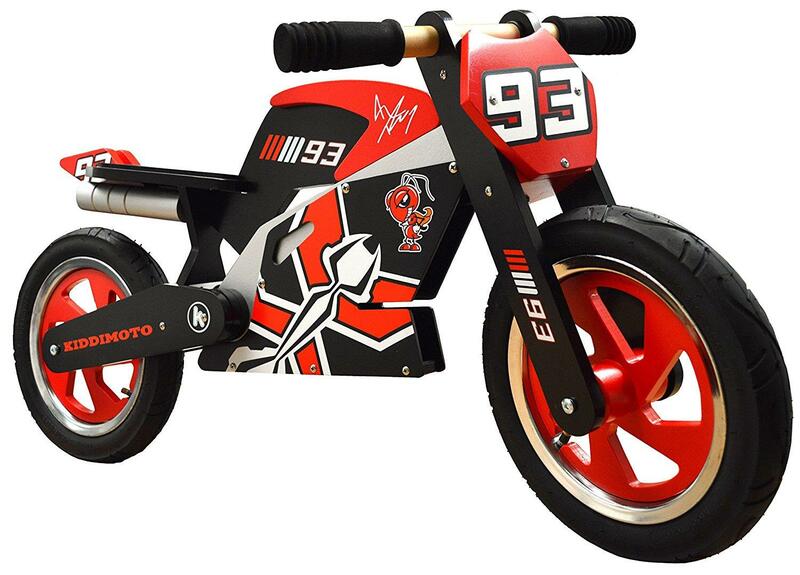 My four-year-old son, Archie tested this Kiddimoto Hero Balance Bike, Marc Marquez and Kiddimoto Marquez Helmet (RRP £159.99, £39.99) for 21 months. My son got his Kiddimoto wooden balance bike when he was two-and-a-half-years-old and he took to it like a duck to water. There’s no more bending over holding on to the back of a saddle trying to teach a small person to ride a bike. The Kiddimoto allows a two-year-old to just get on and ride almost immediately. It’s amazing. The wooden balance bike arrives in kit form, but can be easily put together. They are well made, aesthetically pleasing and use traditional pump-up tyres for a smooth ride. To keep Archie safe, I got him a matching Marc Marquez Kiddimoto Helmet. Since this fantastic introduction to two wheels, at only four years old he is now riding a mountain bike like a complete demon. My son hardly ever wants to walk anywhere with me, as he always wants to have fun and ride his bike (you can’t blame him really).